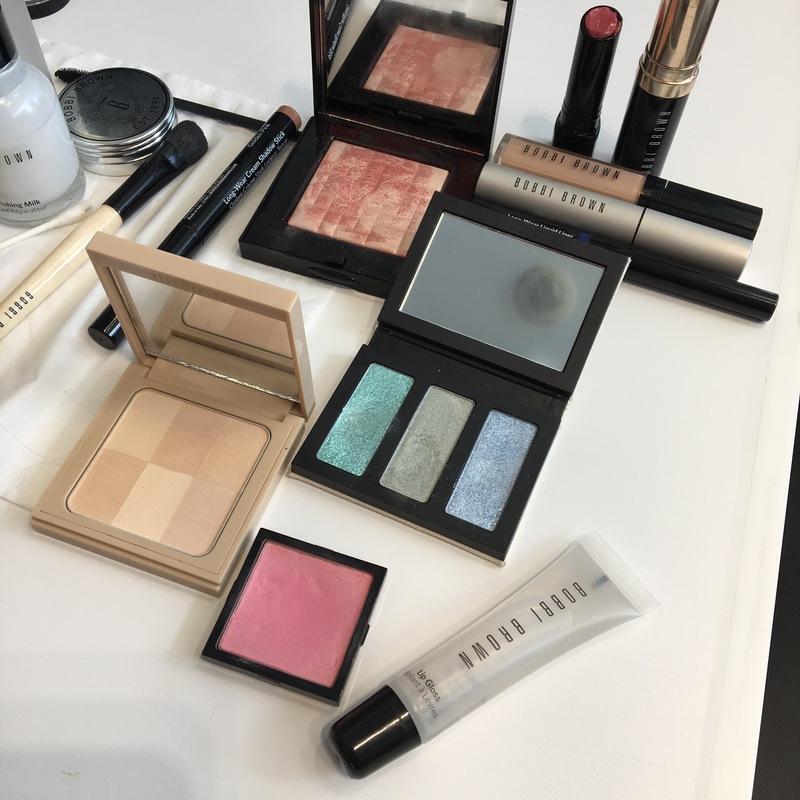 Thankful to the Bobbi Brown Makeup Artist that introduced me to the Bobbi Brown Brightening Brick in Pink at Harrods London Heathrow. It is definitely a palette well loved and used. Blusher and bronzer simplified into one. I love the warmth of bronzer with a hint of blush for a lovely pretty in pink glow. Suffering from Sunday evening insomnia. 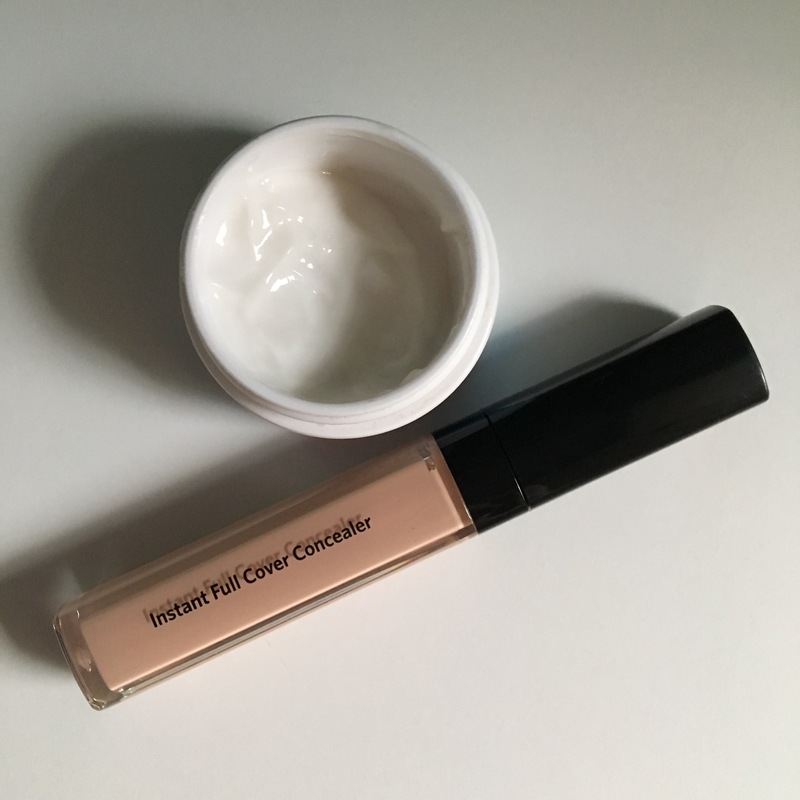 Bobbi Brown Instant Full Cover Concealer to the rescue on Monday morning. I am loving this product. I first use my Rodan + Fields REDEFINE Multi-Function Eye Cream and then follow with the Concealer – apply a bit with the applicator but pat and blend with my finger. 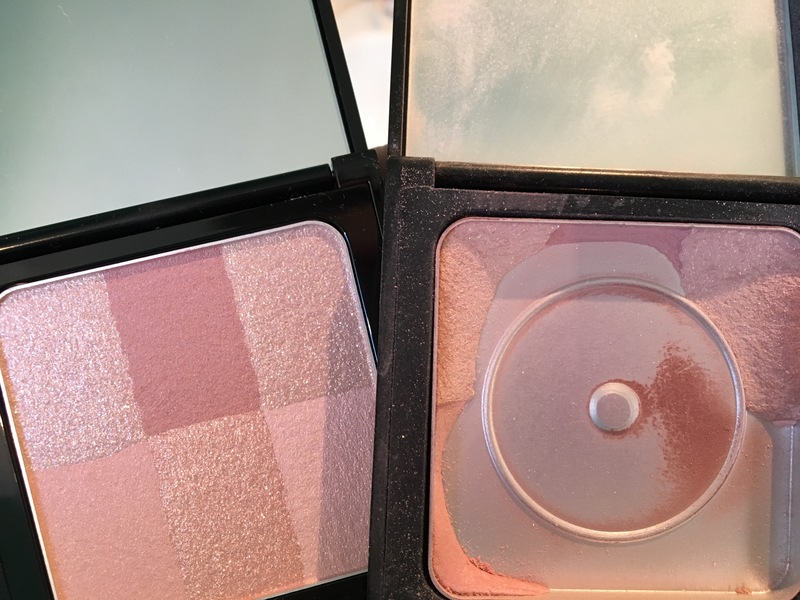 My shade is Cool Sand which provides instant brightness to my eye area. While I love to wear eye makeup, a concealer is perfect for those who don’t want to wear makeup – it helps you look fresh and awake and who doesn’t want that. Available in 15 shades too. If you are in Toronto and want to find your perfect shade, definitely go and see Tamara Spence Vega at Murale at CF Shops at Don Mills. It is always fun to try a new makeup look especially in the summertime. Thank you to Bobbi Brown Cosmetics Makeup Artist Tamara Spence Vega at Murale – Shoppers Drug Mart‘s awesome beauty store – at CF Shops at Don Mills for inviting me to your summer Peace, Love, Beach makeup event. 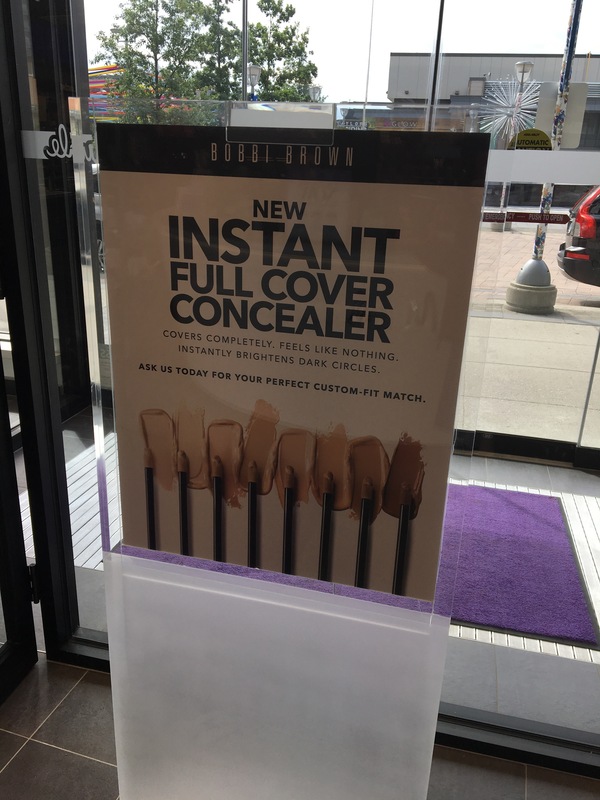 Fun to try a few products outside of my makeup comfort zone and to go uncomfortably bright with your awesome new better than sleep Instant Full Cover Concealer. I have been wanting to try this since I found out about it months ago and it didn’t disappoint. If you are looking for a new look or to learn something new and live in the Toronto area, definitely book into see Tamara. She is awesome and always teaches me something new. A bonus of today is an Optimum point redemption this weekend at Murale. Happiness for any makeup lover like me. 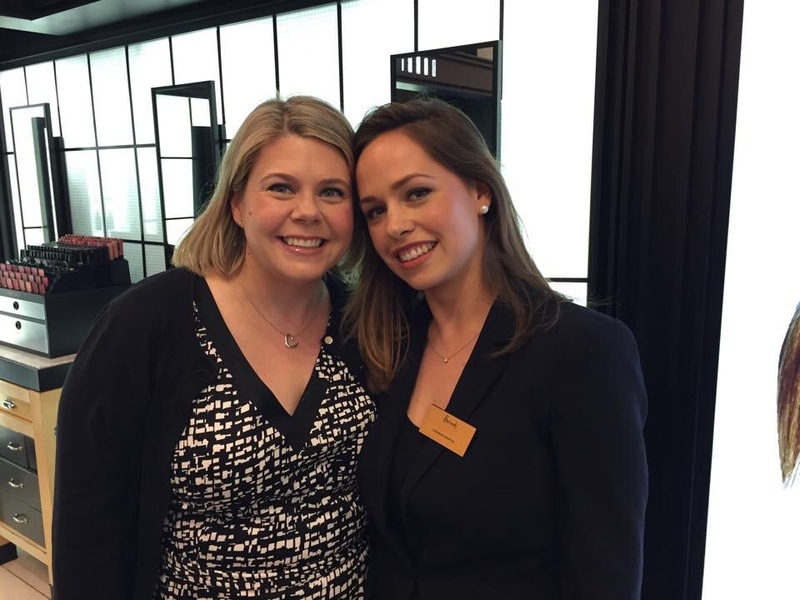 Life is all about experiences and thanks to Instagram and a wee bit of good timing, I got to spend a fun afternoon at Harrods two years ago today with Bobbi Brown UK Senior Pro Artist Hannah Martin (@hannahmartinmakeup). Imagine an afternoon chatting all things makeup, learning new techniques and getting a bit glam for my evening out in London. Incredibly awesome experience! My mother loved makeup and never left home without it especially her pink lipstick. As they say, the apple does not fall from the tree. I have adored makeup for as long as I can remember, always love a chance to have my makeup done and the opportunity to learn new things. With London calling, a telephone call across the pond to Harrods secured an appointment for Friday afternoon before meeting my friends for an evening of drinks, dinner and dancing. I was very excited for the chance to meet and learn from Hannah after following her for many months on Instagram. I also love how I had absolutely no idea she was on hand at the 2011 Royal Wedding until after my holiday but no less exciting to find out after the fact. I have loved all things British since childhood including the Royal family so this was icing on the cake to this experience. Having your makeup done by Hannah is like hanging out with your BFF. Reflecting back, I share a few of the awesome tips I learned that day. * Lip Balm – nourish your lips when you start to apply your makeup and then apply lipstick or lip gloss once you have finished your makeup. Always the final step. * After applying foundation, smoosh your face with your hands. The warmth will help melt your makeup into your skin. A simple tip that Bobbi Brown taught her. * Bronzer and Blusher – Place bronzer high on the checks, the temple and don’t forget to warm your neck. Think of drawing a three on both sides of your face with a pop of blush on the cheeks. Hannah’s favourite is blue pink called pale pink which she often uses on brides – maybe even one famous one. Finish up with a bit of Shimmer Brick to highlight on the upper cheekbones. Remember to smile during these steps. * Brows – I never filled mine in until Hannah introduced me to Perfectly Defined Long-Wear Brow Pencil in Wheat. * Eyes – Hannah created an evening smokey eye look for my night out with friends. 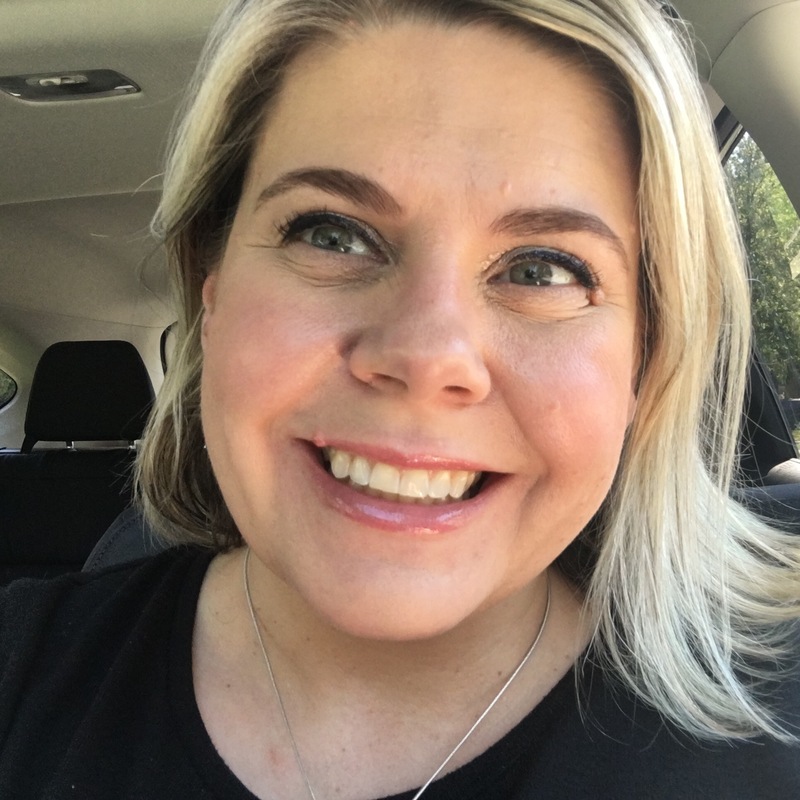 I normally wear brown, navy or purple eyeliner (or eye shadow as liner) but she promised me a Long-Wear Gel Eyeliner in Blank Ink would make my green eyes pop without being too harsh for my fair complexion and blonde hair. It definitely did. Gel Eyeliner can take a bit of getting used to it but I love it. I use the Ultra Precise Eyeliner brush to apply it close to the lash line and will carefully dot below the lid. For a smokey eye look, I will smudge it with the Smokey Eye Liner Brush. Another fun addition was sparkle to my eyelids with Sparkle Eye Shadow in Mica. It has become a staple for my evening eye look. Finish with Mascara. I loved that Hannah made me look like a more glamorous version of me. To this day, she continues to inspire me through her Instagram feed, YouTube videos and many articles. If you love everything makeup, definitely subscribe to Hannah Martin’s YouTube Chanel.